Chelsea have one more home game this season where they will receive the cup. Sadly I won't be there, as this was my last match for this season working for ERS Medical. 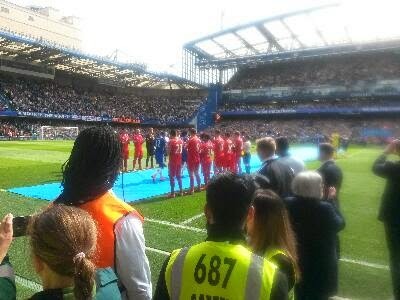 Liverpool formed a guard of honour for the league champions as they walked out on to the pitch. Both teams played well with their captains scoring the goals for a one all draw. Looking ahead to a busy week, defib training at the Clare Foundation, frontline shift for SCAS, annual refresher at a local doctors surgery, manual handling with TSI Instruments and day two at Marsh Gibbon School.